100 West Chicago Street, Coldwater, Michigan. Our Law Offices Specialize in Estate Planning; Business Law; Real Estate Law; Municipal Law; Domestic Law; General Practice and Litigation. 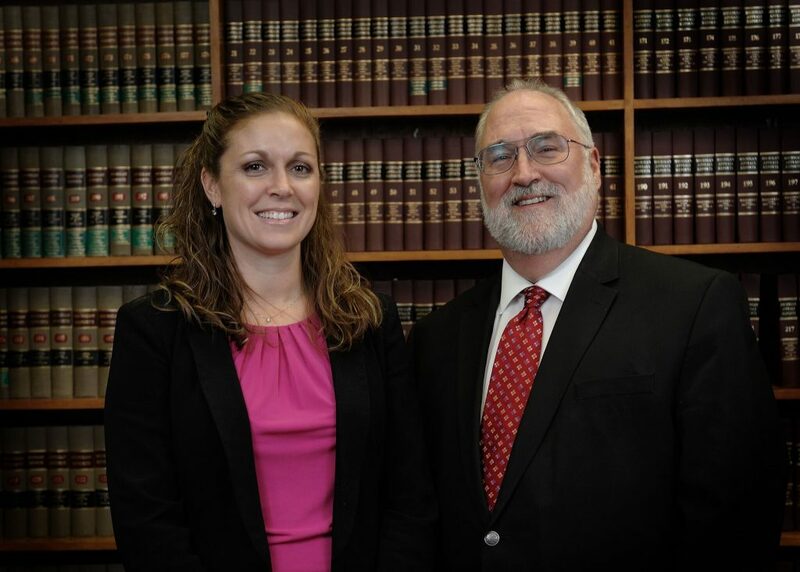 Charles Lillis has been a Licensed Michigan attorney for over 30 years, and Erin Jansen has been a Michigan Licensed attorney for over 8 years. Estate planning including from simple to complex estates involving Wills, trusts, Powers of Attorney. The firm specializes in succession planning to assist families and businesses to insure the successful transition of agricultural and non-agricultural operations from generation to generation. We also work with families to probate decedent’s estates, and distribute assets through Trusts. Lillis & Jansen represent numerous municipal organizations, and are well versed in zoning and land use issues. From the formation of Corporations, Limited Liability Companies or Partnerships to purchase and sales of businesses, Lillis & Jansen can provide legal guidance to assist the business owner in reaching their goals. We work closely with your CPA or Accountant to develop solid agreements that carry out the wishes of our clients. The firm represents clients in divorces, custody and child support matters, adoptions and juvenile matters. We work with attorneys in other jurisdictions to deal with the modern, mobile family. Lillis & Jansen can assist with the sale or purchase of real estate; short or long-term leases for commercial or residential properties; Landlord rental matters; property line issues and land use matters, including agricultural land issues. Whether it’s is dealing with a government regulation, mistaken identity, fraud, or a difficult situation, Lillis & Jansen can help you identify the issues, and either represent you, or find those with qualifying experience to assist you all the way through litigation.